You just bought the home of your dreams. But the yard? Not so dreamy. In fact, it’s a mess – so overgrown it’s hard to know what to tackle first. Take heart, you’ve got this! It’ll be a lot of work, but the results will be well worth the effort. Just take things one step at a time. 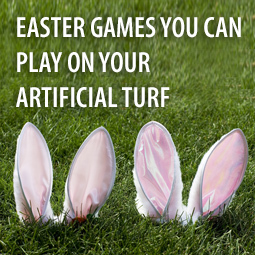 If you’re hosting Easter festivities at your house this year, you’d better get busy! Whether Easter is a religious observation for your family or it’s simply a celebration of spring’s welcome return, it is the perfect time to get family and friends together. Everyone is undoubtedly salivating, thinking of the delicious dinner you’ll be serving. But they are also looking forward to pre-dinner games outdoors. We all want to find the best deal possible when shopping for home improvement items, including artificial turf. 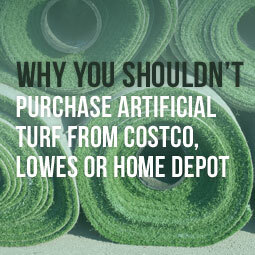 Big box stores and discounters offer seemingly great prices on fake grass, but before you rush out to buy from them, you should do a little more research. There is more to consider than price, if you want artificial grass that will look gorgeous, function faultlessly, and hold up over time. 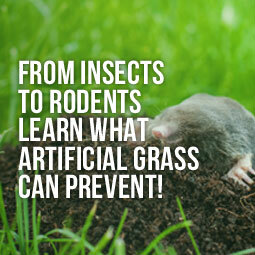 From Insects To Rodents, Learn What Artificial Grass Can Prevent! 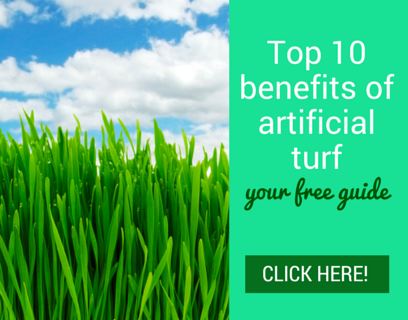 The visual benefits of artificial grass are obvious. It looks perfect the day it was installed, and it continues to look perfect for years to come, with minimal maintenance. 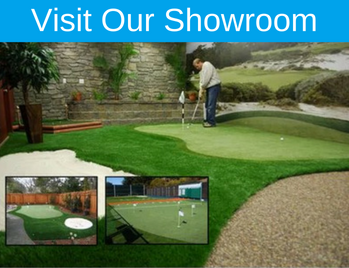 But artificial grass also has a practical side that brings even more benefits to homeowners and families. 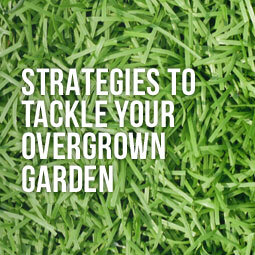 It can help do away with lawn-loving pests, from insects to rodents. Natural grass lawns actually encourage unwanted critters. 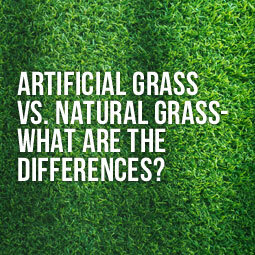 Artificial Grass vs. Natural Grass - What Are the Differences? If you want a lawn at your home, you have two choices – natural grass or artificial grass. Which is best? Well, that depends on practical factors such as initial and ongoing costs and the amount of maintenance required as well as personal aesthetic and sustainability preferences. 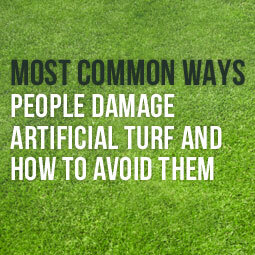 Artificial grass can do everything natural grass can do (often better), and it can do a lot of things natural grass cannot. When you have a natural grass lawn, you never think of all the work you do to maintain it as “cleaning.” Most of the time, energy, and money you invest is required simply to keep the grass alive and trimmed. Keeping it clean takes extra work. 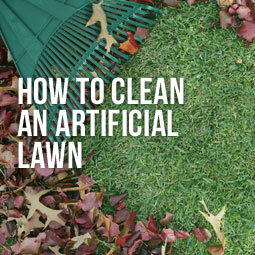 But when you have an artificial grass lawn, a little cleaning is all you need to do. Whether you bring them in big or start them off small, trees add a finishing touch to your landscape as they grow and mature. They can frame your property and add a sense of dimension. 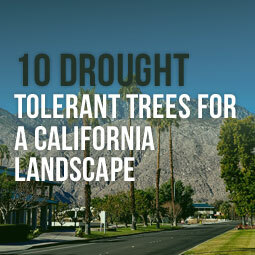 Their leafy canopies of deciduous trees provide shade when it’s hot and allow the sun to shine through in winter. And, in many cases, trees offer us colorful, fragrant collections of flowers, too. 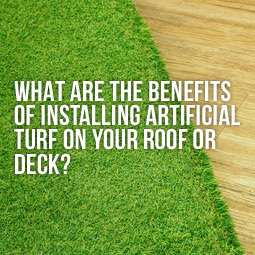 What Are the Benefits of Installing Artificial Turf on Your Roof or Deck? 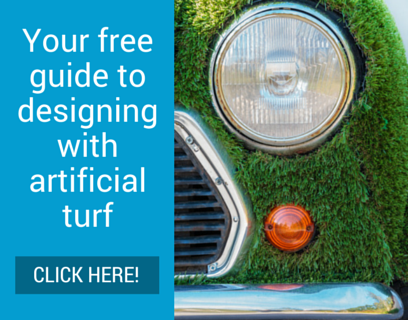 Artificial turf is so versatile, you can “fake it” with lawn grass in many places most people wouldn't even think about. Balconies and rooftops, for example. Or large decks and patios. Artificial grass doesn’t have any soil or lawn care requirements of natural grass, so you can put it virtually anywhere, even several stories above ground. You get the visual and functional benefits of natural lawn, minus the expense and hassle. Nothing lasts forever, of course. 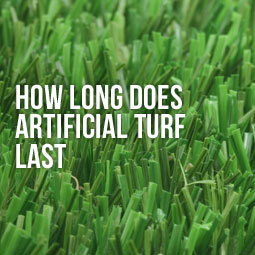 But if you’re looking for a great return on your investment, artificial turf is an excellent choice. Modern artificial grass is tough enough for whatever you have in mind, and it lasts beautifully for years and years.